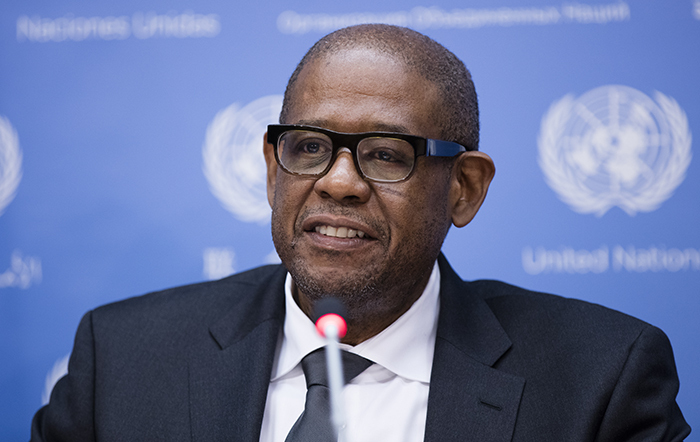 United Nations, New York, USA, April 21 2016 – Oscar-winning actor and UNESCO special envoy for peace Forest Whitaker holds a press conference today at the UN Headquarters in New York on the Sustainable Development Goals meetings that is taking place at the UN General Assembly. 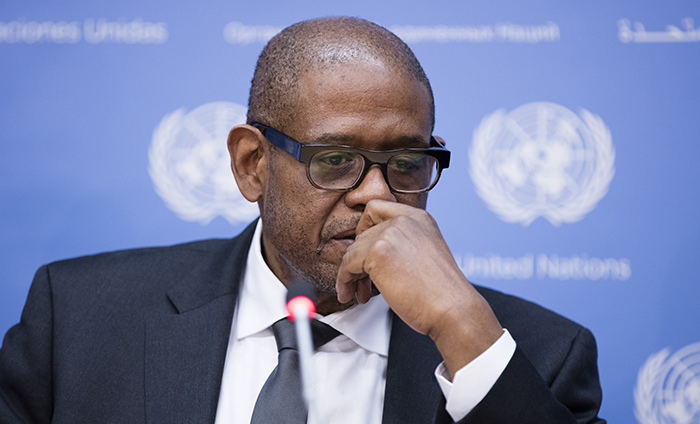 Development Goals (SDGs) and ensuring that the Global Goals reach everyone. 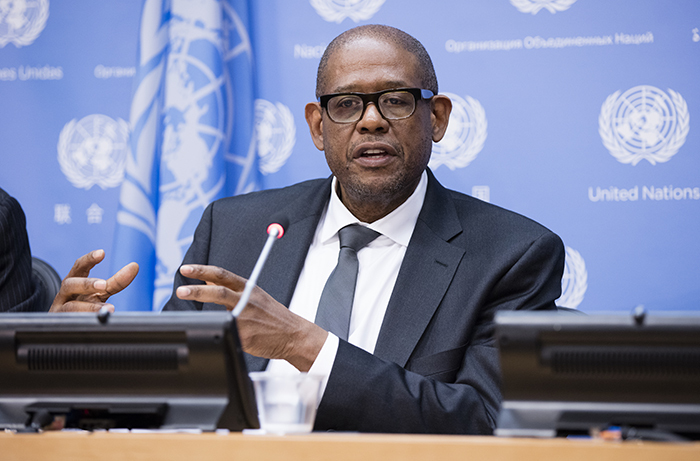 Thematic Debate on Achieving the SDGs on April 21.
people, allowing women to have complete gender rights along with everyone,“ Whitaker said. one of seventeen SDG advocates by Secretary General Ban ki-Moon in January this year.